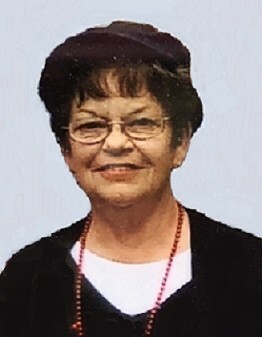 On Friday February 1, 2019, Brenda Massengale Horne, loving wife, mother, and grandmother of Rocky Mount, passed away at age 71. A visitation with the family will be held on Tuesday February 5, 2019 at Wilson Memorial Service at 2811 Fieldstream Drive N, Wilson, NC 27896 from 6:30 PM to 8:00 PM. Brenda was born on December 26, 1947 to Herbert A. Wooten and Geraldine V. Wooten. She grew up and spent most of her life in Rocky Mount where she graduated from Rocky Mount Senior High School. Brenda’s passion in life was spending time with her dear and loving husband Wayne R. Horne; daughter, Dina M. Seitz (Chris) and granddaughters, Lucy and Maggie of Charlotte. “Neena” loved the beauty of the mountains, and loved to travel to Tweetsie Railroad, Disney World, and anywhere she could enjoy time with her active granddaughters. She also enjoyed fishing with Wayne on the NC coast, tending to her immaculate garden, and reading novels. Brenda had a knack for talking to and welcoming strangers, and thus had a successful career as a bank teller in Nash and Wilson counties. Brenda, Mama and Neena will be missed by many- we love you!